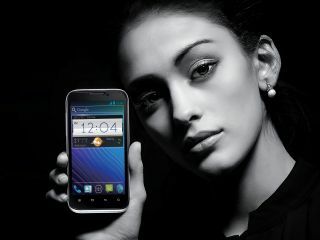 ZTE has unveiled its very own quad-core smartphone at MWC 2012, the ZTE Era. The phone is being touted as "one of the thinnest quad-core devices on the market today". Which isn't quite as good as saying it has the thinnest phone but you've got to grab what accolades you can in the week where a thousand smartphones are launching. The quad-core chip being used is unsurprisingly Nvidia Tegra 3 which means that the ZTE Era manages to stuff a number of multimedia capabilities into its fairly slim 7.8mm chassis. When it comes to screen, the Era has a 4.3 inch QHD screen giving high quality 960 x 540 pixel images, 8GB of memory expandable with a MicroSD card, there's HD voice on board and Dolby sound. As this is an Android phone, it's powered by Android 4.0 Ice Cream Sandwich – if you are after a Windows Phone device, then ZTE also announced the budget friendly ZTE Era. The ZTE Era UK release date is second half of 2012.